Walker’s slogan is more than just a guesthouse, and we find this to be true — it’s more like a backpackers institution. The bright and cheery fan dorms with shared baths that feature brand new showers are not only Khao Lak’s best dorm option but also its cheapest. 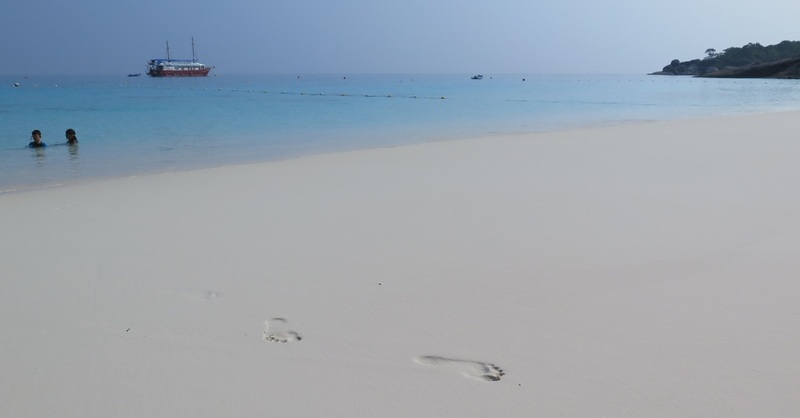 Simple, private fan rooms are solid value as well, although if looking for air-con it’s possible to get slightly more comfortable rooms elsewhere for similar rates, but the air-con rooms at Walkers are suitable for the price. Poke around and check out a few different rooms as the Inn is set in and old three storey building and each room is unique from the next, with some being brighter than others. 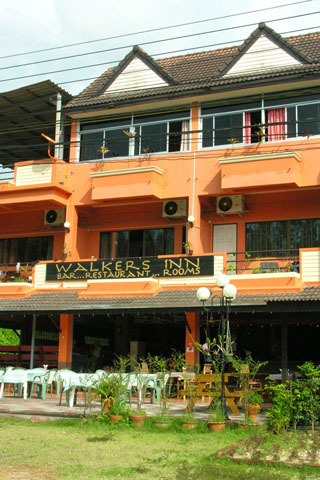 There’s no doubt that Walkers has the best backpacker atmosphere in Khao Lak with a pool table and chilled out restaurant/bar to go with free WiFi. Co-owned by an intriguing Australian chap, there’s never a shortage of interesting folks to chat with. Located to the south of the main strip along Phet Kasem Rd, it’s less than a five minute walk to the beach.